Today we’d like to introduce you to Alexandra Halbardier. 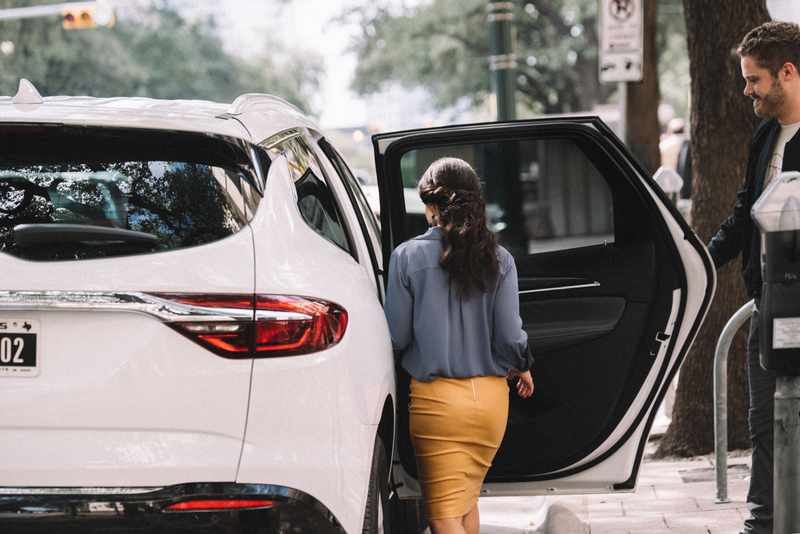 As a former Management Consultant, I have spent a lot of the past few years traveling and in rideshares, including commuting from Dallas to a London suburb seven months pregnant (hello, carsickness!) Growing up, we spent a lot of time traveling, too. I come from a big Greek family, and there were many visits to the “motherland” that included packing 12 people (including grandparents) and luggage into a single Skoda van. I’m excited to create great rides because I’ve spent a lot of times in some not-so-great ones. Before joining Will to start Alto, I spent six awesome years at the Boston Consulting Group, designing brand and marketing strategies for more than 50 consumer brands. My job was solving consumer problems in a data-driven way, and I loved it. But I quickly realized that designing a good strategy is one thing, but it’s a different challenge to bring that strategy to life. 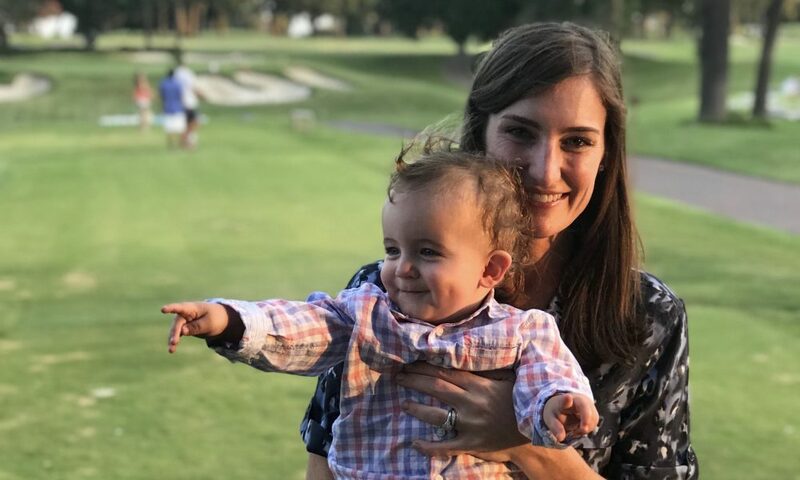 At the same time, I have a one-year-old son and was looking to change my own travel patterns — hopefully, swapping some of my plane rides to work for car rides to work. All of this brought me to Alto. When I first met with Will about joining him on this crazy startup rollercoaster ride, I was struck by how Alto’s consumer problem was my own, which was that rideshares today don’t address my needs. Women are half as likely to take a rideshare service as men, mostly because of concerns over personal safety and comfort. Being so empathetic with this consumer problem, I felt like it was the perfect time to make a move. I wanted to be a part of designing and building a product that addresses my own, and our consumers’ needs for safety, consistency, and quality in the on-demand ride space. We’ve spent a lot of time researching our consumer and we’re thrilled to be at the point where we are starting to see some of these designs actually come to life. The short answer is, of course not! But what long ride is ever always smooth? Our biggest challenge thus far (and it’s still early!) 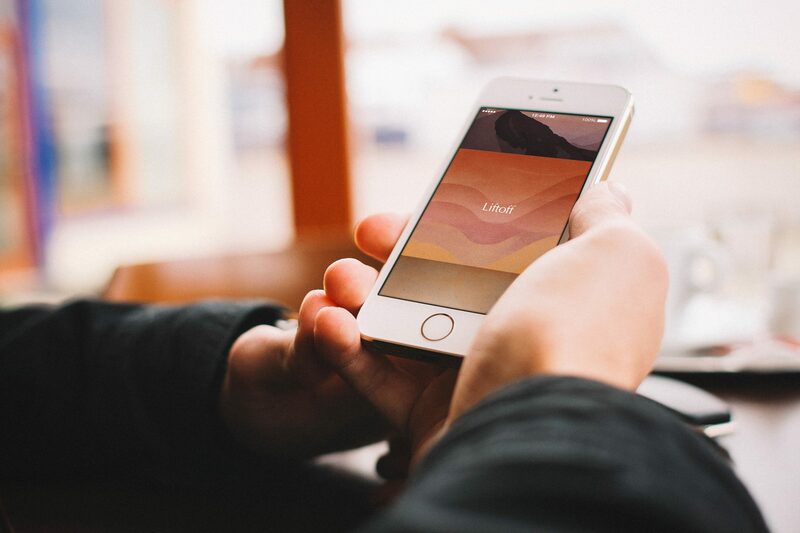 with launching Alto is that we are assuming we can change a key customer behavior. We’re asking people to think about ten minutes ahead before they need to leave to book their ride. We believe that predictability is powerful. We want to show up about 10 minutes after you book, every time — not sooner, not later. Our first goal is to get people out of the habit of ordering a car at the curb. We want you to finish your coffee, pay your bill, use the restroom — then come outside at your leisure and have your car waiting. You are the customer, we should be waiting for you! Interestingly enough, this is a better solution for cities and traffic. Longer pick up times reduces the need for car density by a big number. So let’s switch gears a bit and go into the Alto story. Tell us more about it. 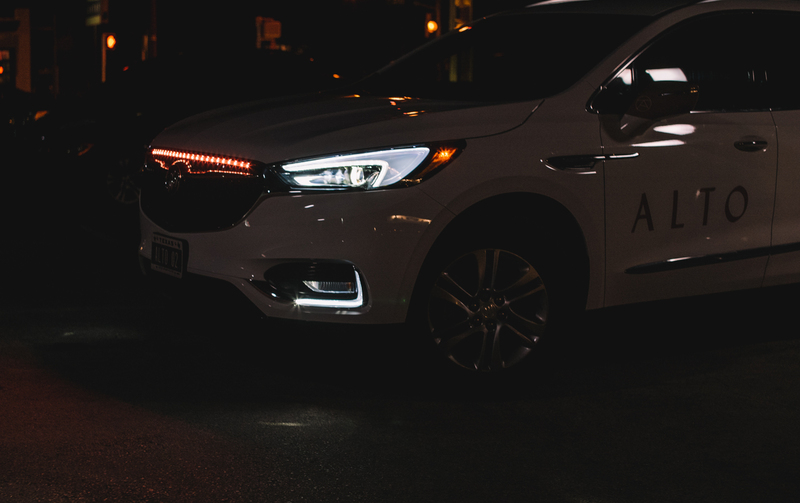 Alto is a membership only, on-demand ride service, focused on personal safety, comfort, and hospitality. 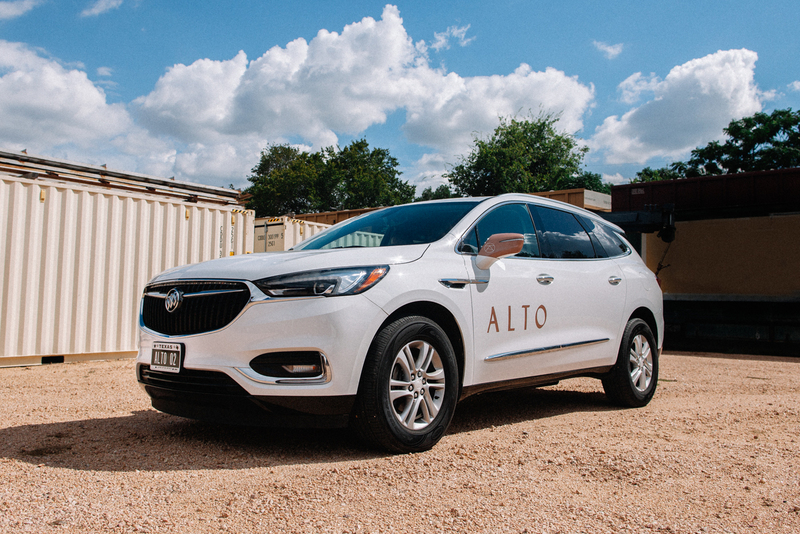 At Alto, we say our passengers drive us. Alto customers control their journey and the “vibe” of their ride — that means the music, the lighting, the temperature, and even the conversation level with the driver. Our drivers are fully employed, thoroughly vetted, and highly trained, to provide a safe and consistent ride for our members, every time. Alto also manages a dedicated fleet of vehicles, which are all brand new, maintained daily, and five-star safety rated. Alto is different because we are creating a new culture and standard in the ride-hailing space. That’s why we’re offering a new level of commitment to our drivers by offering them full benefits, stable pay, and a great company culture. We deeply care about who is in the car with our customers. By taking care of our drivers, we are able to take care of our customers. We want to make sure Alto members have a consistently high-quality ride, every time. Building up the courage to join Will in starting Alto! For me, it was a huge risk. I had a great job, which I loved, and I knew I’d be sacrificing a lot (including sleep!) in taking a less structured path. However, even though Alto is less than a year old, I’m so incredibly proud of what we’ve built so far. Especially our people. We’ve assembled an incredible team, from managers to drivers, who believe in our vision and are along for the ride!